The Czarny Potok has three conference rooms. Each one is fully equipped with the necessary multimedia – over-head projectors, flipcharts, wi-fi and audio equipment. The key element of the business offer of the Czarny Potok hotel is the flexibility of the proposed solutions. 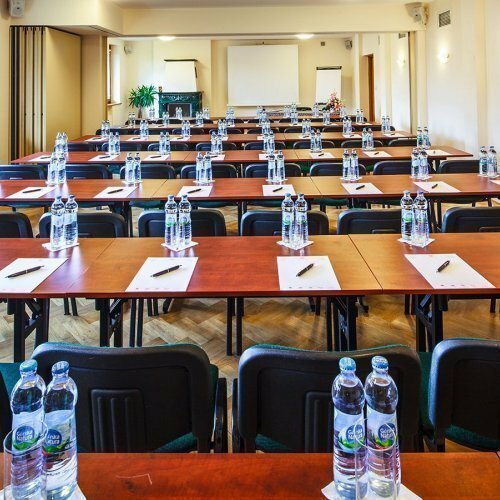 The organisation of conferences and courses requires suitable facilities for the most comfortable conditions. Such conditions are sought away from the noise and hustle of big cities to enjoy tourist attractions and modern conference centres. 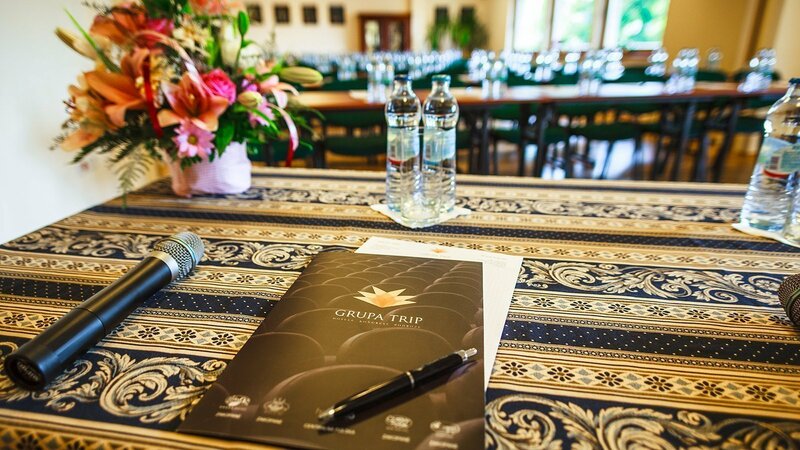 Conferences in the mountains and other beautiful regions of Poland enjoy increasing popularity. Zakopane – the winter capital of Poland – is one of the best known Polish resorts where people seek rest, fresh mountain air and beautiful views. It is also a place where business meetings, conferences , symposia, team building activities or courses can be successfully organised. It is to meet such requirements that the Czarny Potok, a modern hotel in the centre of Zakopane, offers a functional business zone. 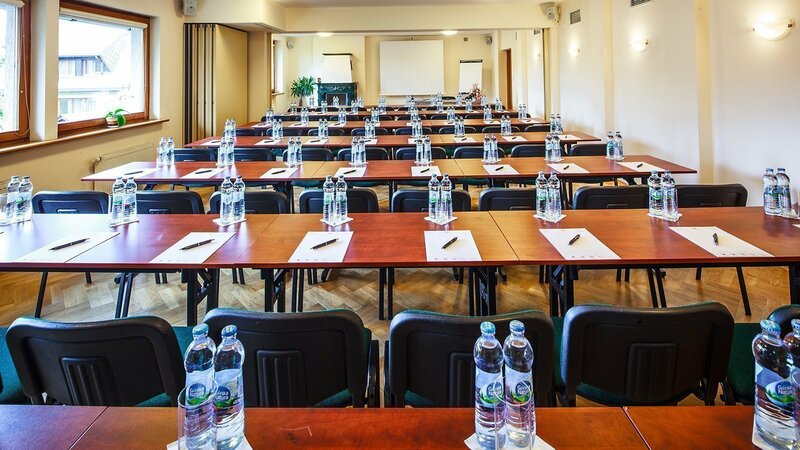 We know how important for the effectiveness and success of such an event is a conference room and offer a modern and functional business zone. 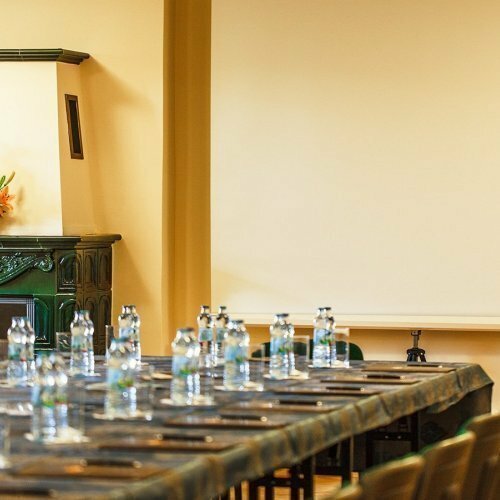 There are four conference rooms where various business meetings can be held, such as courses, symposia, conferences or presentations with the hotel conference rooms very well adapted to their organisation. 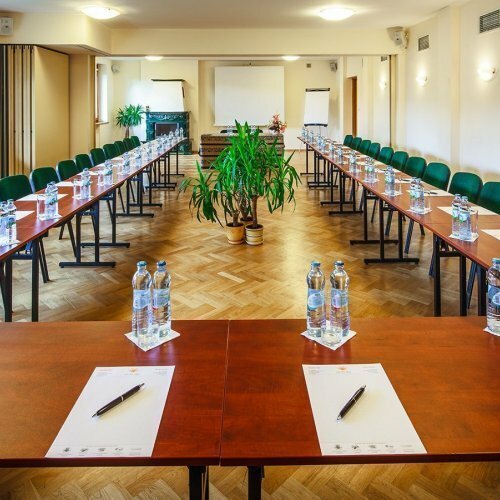 Each conference room in the Czarny Potok has modern multimedia and audio equipment, as well as wi-fi internet access. When the hotel was designed special care was taken to make sure it has all the facilities required to serve the organisation of prestigious business meetings. 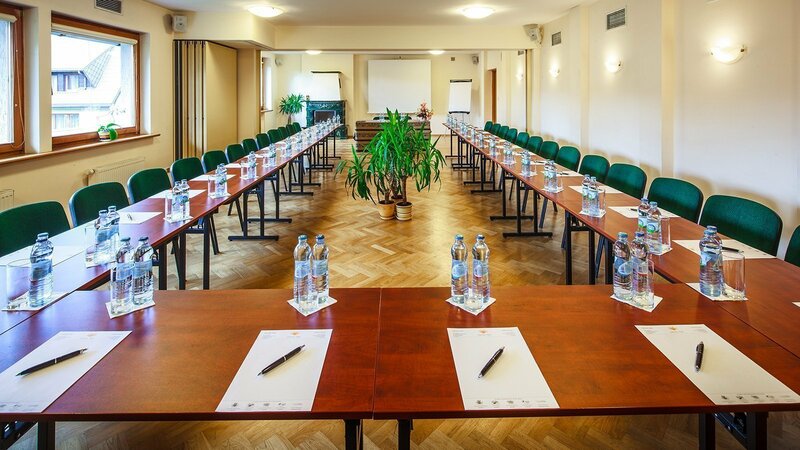 The conference rooms in the Czarny Potok are spacious, bright with natural light that can be dimmed for a presentation. 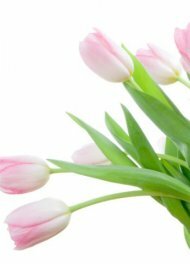 Stylish décor ensures friendly atmosphere and is conducive to concentration. 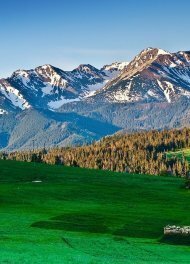 Zakopane, as a venue for such meetings, has passed is test very well as it offers numerous attractions and leisure options. 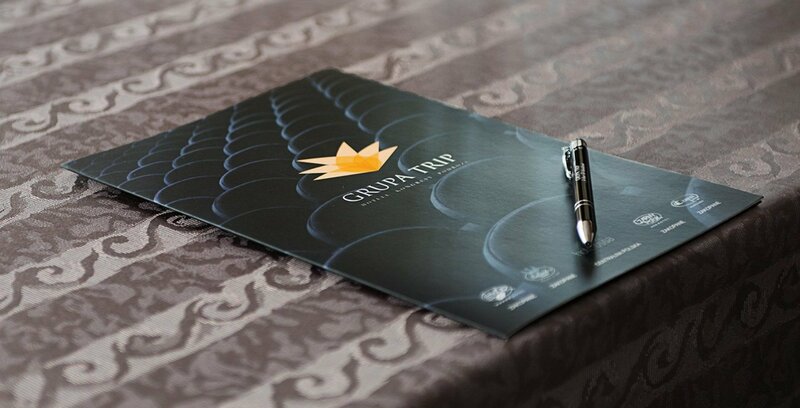 Our business zone and its conference rooms remain open for you all year round. We are flexible and are happy to organise not only conferences and courses in the mountains, but also interesting team-building activities. 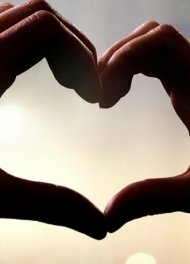 Team building has beneficial effects on the atmosphere in a team and employee motivation, and the climate and exceptional atmosphere of the Highlands (Podhale) and Zakopane guarantee a good time. We organise numerous snow attractions on request, such as bonfires, sleigh-rides, sledge dog races or snowmobile excursions. But this is not the end of our attractions – Zakopane has much more to offer. We offer trekking and excursions with licensed guides in the Tatra mountains, sport and cultural events as well as folklore dinners with live music in a real highlander style tavern. An asset of the Czarny Potok hotel is its very good location and numerous amenities. The hotel is situated in the heart of Zakopane in Tetmajera St. just a couple minutes’ walk away from the main street. It is a very well appointed location both for access to the hotel and local attraction. We realise that a modern business centre with conference rooms is not everything a demanding client might require. 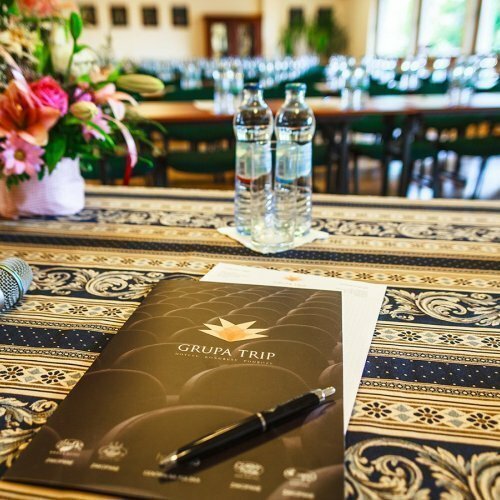 That is why we have cosy rooms whose décor takes after the Podhale regional tradition and where you can find comfort and rest during your conference stay in the mountains. The hotel restaurant will easily satisfy your appetite. There is also an aqua-thermal zone and Day Spa where you can relish relaxing treatments and massage in your leisure time. 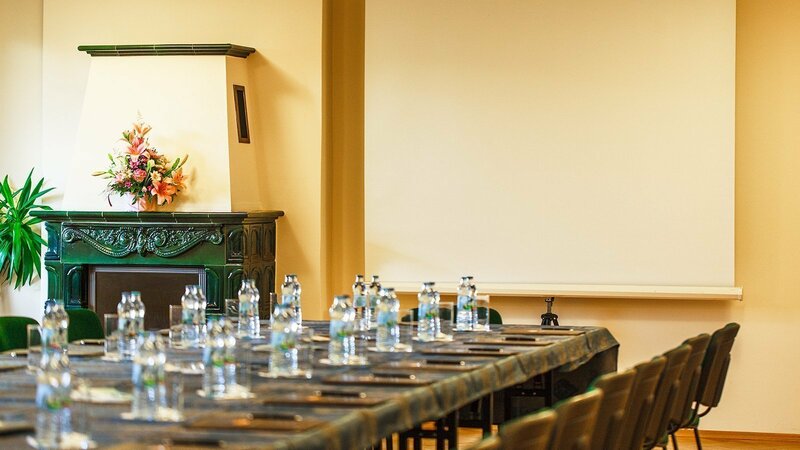 We encourage you to acquaint yourself with a complete conference offer and make a reservation in the Czarny Potok Hotel in Zakopane.